Surprises can come in the most unexpected packages. 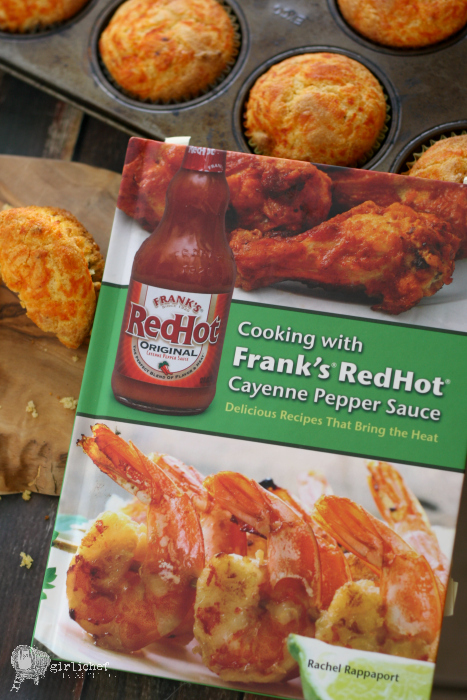 Recently, I was offered the chance to review a copy of the Frank's® RedHot® Cayenne Pepper Sauce cookbook. I was happy to, because I've always enjoyed Frank's, especially on basic hot wings or (best of all) Buffalo Chicken Dip. I thought I'd probably find a couple of tasty dishes to try. To be completely honest, I wasn't really expecting that much. I don't know why. I had some sort of preconceived notion about "brand" cookbooks in my head...that it was probably somewhat basic. In a happy surprise, I was proved wrong. Let me back up a moment and note that the cookbook itself is actually not sponsored by, endorsed by, or affiliated with the manufacturer of Frank's® RedHot®; it is independently published and written. And it's written by a blogger. Aaaaaahhhhh, no wonder it's not boring and ho-hum. I mean, I may be a wee bit biased, but I know the hard work and long hours that most food bloggers put into recipe testing and development. After learning that, it made sense that I was pleasantly surprised by the quality of the recipes in the book. It might be worth noting that I read through the book, and added my numerous bookmarks before reading about the author, Rachel Rappaport. Hot sauce lovers are going to want this book on their shelves. It does contain things you might expect, like chicken wings and dip—but they go beyond run-of-the-mill. You can also find things more out of the ordinary, like jello shots, ice cream, and even cinnamon buns...and yes, they all have hot sauce as an ingredient. I think this is an awesome cookbook for game day inspiration, as well. I mean, hot sauce and game day food sort of go hand in hand, don't they? I'm happy to be sharing my thoughts on the Frank's® RedHot® Cayenne Pepper Sauce cookbook AND offering up a copy to giveaway as part of a Valentine's Day Cookbook Affair 14-day event! For more information on the giveaway and the event, please scroll down under the recipe. 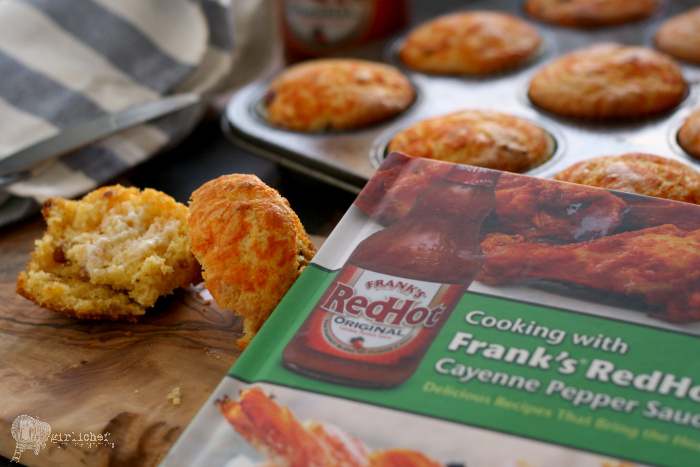 Take cornbread muffins to the next level with the addition of bacon and Frank’s® RedHot® THICK Cayenne Pepper Sauce. The perfect spicy start to your day, or try them as a side with chili. Preheat the oven to 400°F. Grease or line with paper liners 1 (12-well) muffin tin. In a medium bowl, whisk together the cornmeal, flour, baking powder, baking soda, and sugar. Beat in the egg, buttermilk, and oil until well combined. Fold in the bacon. Fill each well in the muffin tin 3⁄4 full of batter. 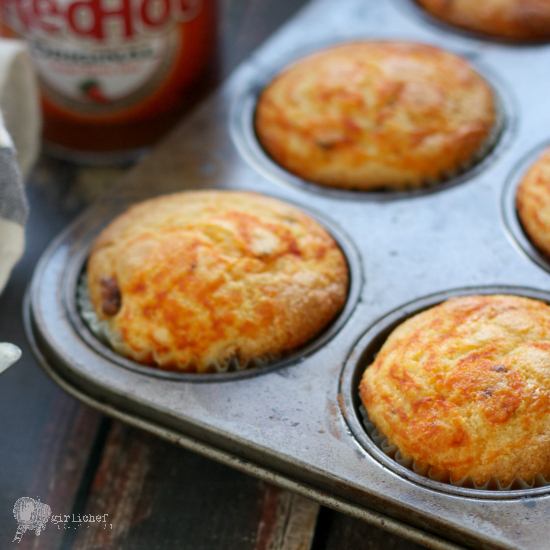 Top each muffin with 1 teaspoon Frank’s® RedHot® THICK Cayenne Pepper Sauce. 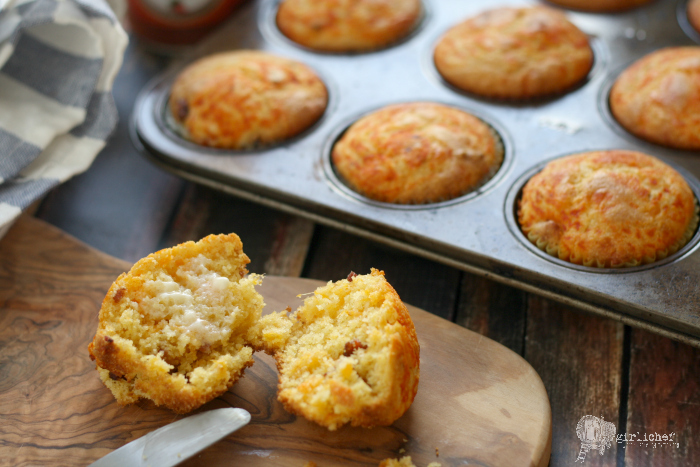 Use the tip of a knife to swirl the hot sauce into each muffin. Bake 25 minutes or until the muffins are golden brown and a toothpick inserted in the middle of the center muffin comes out clean. Serve immediately. I used 4 thick-cut slices of bacon to yield about 1/3 cup. I added 3/4 cup of shredded Red Leicester cheese to the dry ingredients (sharp cheddar or pepper jack would be great, too). about the author: Rachel Rappaport is an award-winning recipe developer, cookbook author, and food blogger. Her blog, Coconut & Lime, features more than 1,600 of her original recipes and was named one of the top 50 food blogs in the world by MSN's Delish.com. Her work has been featured on NPR, the Washington Post, the LA Times, the Baltimore Sun, and Fox News. She has appeared on several news, radio, and web shows demonstrating recipes and offering commentary. She lives in Baltimore, Maryland. What's your favorite way to use hot sauce? After you've commented with your answer, be sure to record your entry in the rafflecopter widget below. Completing this mandatory entry will then open up optional ways to get more entries into the contest. This giveaway is open to residents of the USA, ages 18 and older, only. Submissions will be accepted through 11:59 pm ET on Friday, March 6, 2015. One winner will be chosen via random draw and notified via email within 48 hours of the close of this contest, and given 24 hours in which to respond. If no response is received within that time frame, a new winner will be chosen. All entries will be verified (if the mandatory comment is not received, yet the box is checked, all entries by that person will be voided). ATTENTION ALL COOKBOOK HOARDERS LOVERS! 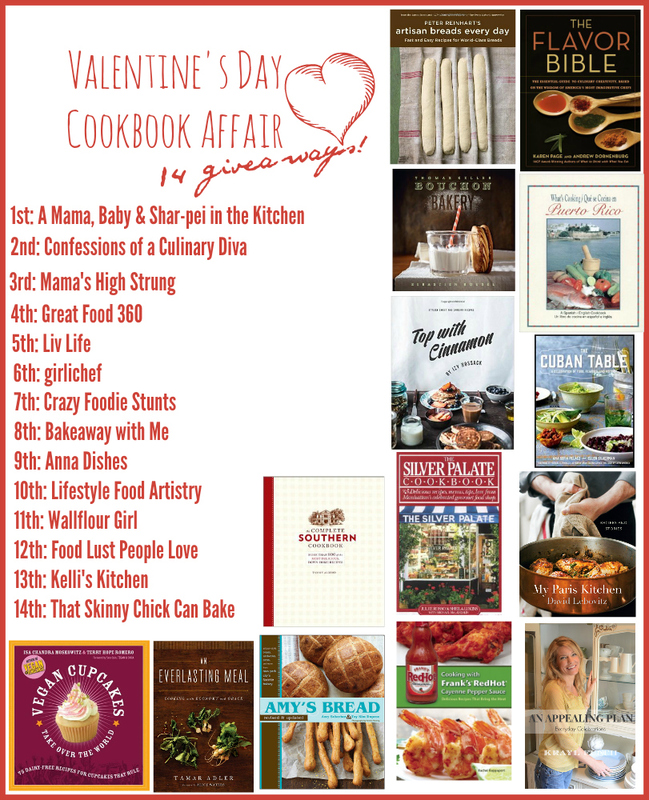 This giveaway is part of the Valentine's Day Cookbook Affair — I've joined 13 other bloggers to bring you 14 days of cookbook giveaways! Each day from February 1 through February 14, a new giveaway will be revealed. Why not try adding one (or all) of these books to your library? Simply check back daily to find out which blog the next giveaway will be held at! And now for the big reveal: tomorrow's giveaway is being hosted by Foodie Stuntman at Crazy Foodie Stunts! I received a complimentary copy of this cookbook in exchange for my honest review. 41 Chicken Wing Recipes to wrap-up Wing Week!